After a great deal of trial and error it feels as if I've finally put together a decent weekender / overnight / beach bag which I plan on posting soon. Being able to jump on an invitation to just Go! is something that I personally treasure and always being at the ready led to some really helpful finds. 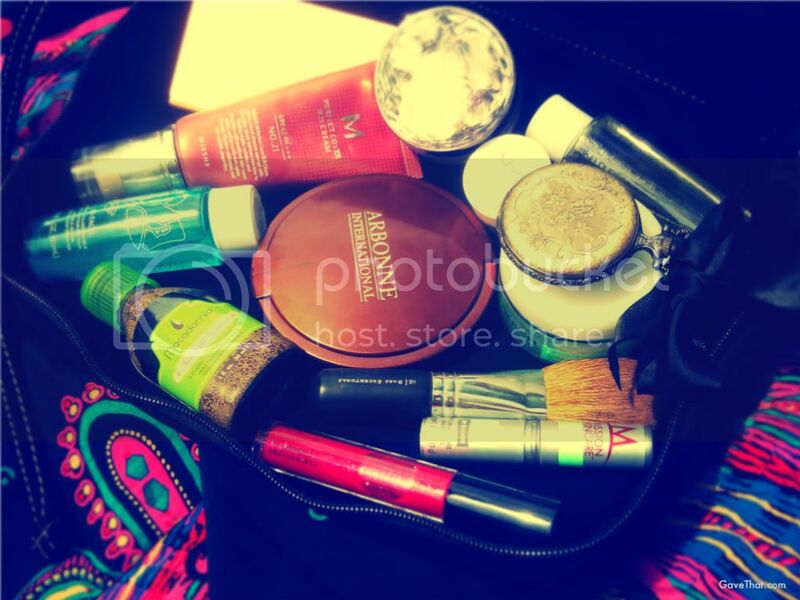 First, here is a glimpse into my makeup bag which is thoroughly geared for the heat and sun. 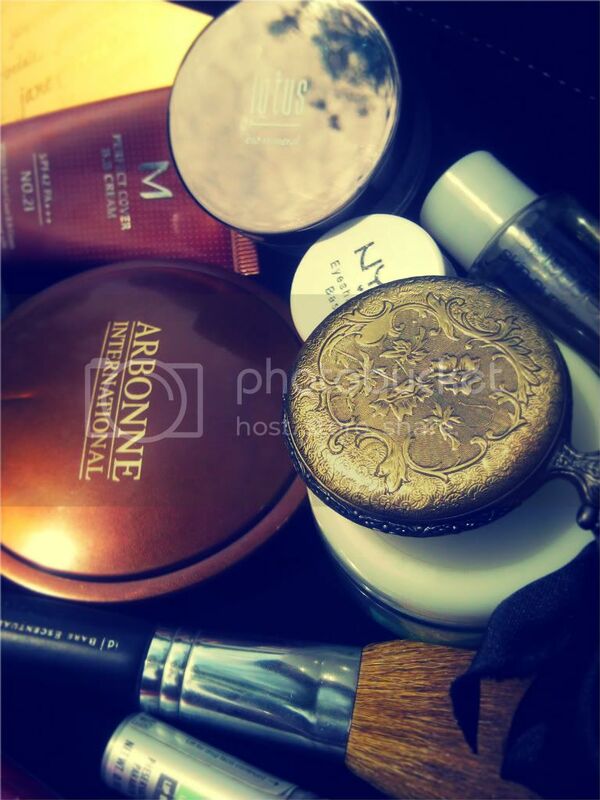 Traveling or not, these are all things that I've been using on a daily basis, only in portable sizes. FACE: Missha Perfect Cover BB Cream with SPF 42, Lotus Bio-Mineral SPF 30 hi-def finishing powder, Arbonne no sun bronzing powder (the perfect terracotta rosy color that I use as blush, eyeshadow, with balm on the lips... something similar is Guerlain's Terracotta bronzing powder in 05), NYX Eyeshadow Base in skin tone 03 (which I actually use as a concealer), Jane Iredale blotting papers, Garnier Moisture Rescue gel creme (feels so cool on hot, dry skin) CLENSE: Lancôme Bi-Facil eye makeup remover, Shu Uemura skin purifier oil cleanser, rose water toner. LIPS: Mission Skincare SPF 15 lip balm (have been using this everyday, a new minty favorite), MAC Dazzleglass. SCENT: D. L. & Co. Timeless Pocket watch solid perfume in Yuzu Flower. HAIR: Macadamia healing oil treatment. For those who live in and love hot climates, do you have any beauty staples? Would love to hear them!